The Kaduna state Command of the Department of state services ( DSS ) has explained that it arrested the Director General of the People’s Democratic Party campaign, Ben Bako because of inciting statement that if left unchecked, was capable of leading to a “complete breakdown of law and order in the state and beyond”. The PDP Campaign DG was arrested after a video in which he called for anybody that fails to vote for the PDP in the forthcoming election to be killed. The PDP in the state, however, said his arrest was part of a plan by the All Progressive Congress in the state to clamp down on opposition elements. The statement signed by AI Koya, state director of Security of the state Command said “other people with similar tendencies are also being investigated and would equally face the same fate of found culpable. The statement reads: “On the 9th February, 2019, this service invited Mr. Ben. Bako to shed more light on his inciting statement and call for violence in the state. Earlier on the 7th February, 2019 Bako had addressed a rally at Kafanchan, Jema’a local government area of Kaduna state. This development, if left unchecked, could lead to complete breakdown of law and order in this state and beyond. Consequently, Bako is under investigation by the service and would be charged to court as soon as investigation is completed. Other people with similar tendencies are also being investigated and would equally face the same fate if found culpable. 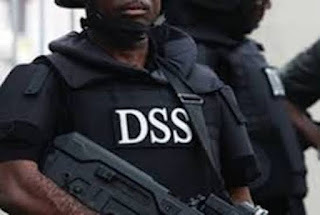 But the PDP in the state has accused that the action of the DSS was premeditated, saying that, the party was aware of the ruling party’s plan arrest top leaders of the opposition party. Chairman of the PDP, Mr. Felix Hassan Hyat who addressed the press at the party’s secretariat in Kaduna said, “in the first week of December, 2018 we started hearing rumours that the Governor of Kaduna State, Mallam Nasir El-Rufa’i in collaboration with State Security agencies will arrest strong PDP members, days before the elections. We took it as mere rumours. The reality is now on ground and the action has started. “On 2nd February, 2019, Alhaji Imam Lawal was escorted by security agents along Coronation Road, Kaduna in the evening. His car was thoroughly ransacked but nothing incriminating was found. “On Saturday, 9th February, 2019, Hon. Ben Bako, a strong PDP member a former Commissioner of information in the State and now Director of Media in the present PDP Campaign Organization, was picked by operatives from DSS and taken to Abuja that same night and is yet to be released. “On Monday, 11th February, 2019, Alhaji Imam Lawal was again invited to the State DSS office where he was interrogated for sometimes before he was later released. On the same Monday, Alhaji Audi Yaro, Makaman Rigachikun, was again invited by the State DSS operatives and taken to Abuja and is yet to be released. “Democracy is seriously under threat in Nigeria, starting with Kaduna State. We as a Party will continue to fight the cause of justice to ensure that Democracy finds its roots firmly in Nigeria and Kaduna State in particular. Now that the security agencies have come out openly to fight the opposition Party in the State on behalf of the ailing ruling Party, we have no alternative than to view them as an integral part of the APC. “We want to use this opportunity to appeal to all our cherished supporters and the public to remain calm. Arresting our leaders cannot stop PDP being voted into office on 16h February and 2nd March, 2019 to replace an unwanted monster in the corridors of power loading it over innocent citizens humiliation/intimidation will only strengthen our resolve to keep on the struggle. Meanwhile, the ruling All Progressives Congress (APC) has commended the security agency for the arrests, saying that, Carriers of violent message to scuttle the democratic setting that has been set particularly the forthcoming election must be put under watch. Addressing a press conference in Kaduna on Tuesday, Chairman of the party, Air Commodore Emmanuel Jekada and Director General of its Campaign Organization, Ben Kure said, carriers of violent message to scuttle the democratic setting that has been set particularly the election that is coming forth on Saturday the 16th of February 2019 must be put under close watch. According to them, “the will of government should not be tested. Attempt or an attempted attempt to try to scuttle the nursing democratic setting by way of conducting a peaceful election I want to believe will not be left without any question or measures taken. Therefore, the propagators of violence orchestrated by the PDP should be warned and other people who want to follow suit in order to scuttle the planned peaceful conduct of the elections that is coming on Saturday.